Sometimes, days are long, you may need to run out shopping or busy yourself with other errands. After a long day, you don’t really want to cook (at least I do not.) You may want to take the easy route and order takeout, but if you are planning on saving money, there is another way to go. 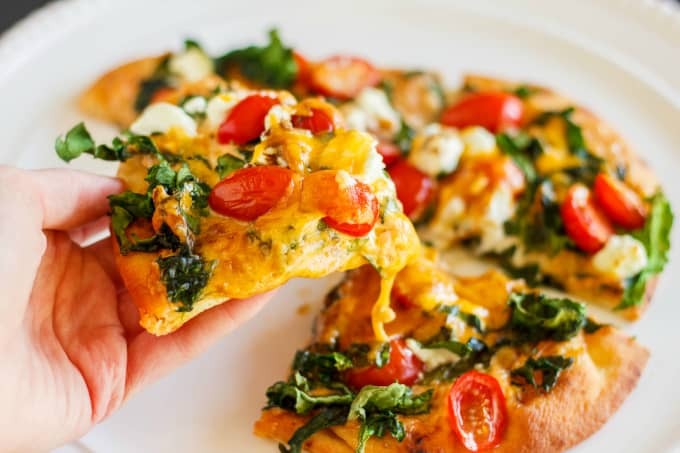 Homemade pizzas are the easiest, and relatively the cheapest, meals to make. But you don’t need to worry yourself by making homemade pizza dough. As kids, my parents would use leftover spaghetti sauce and make mini pizzas on English muffins. 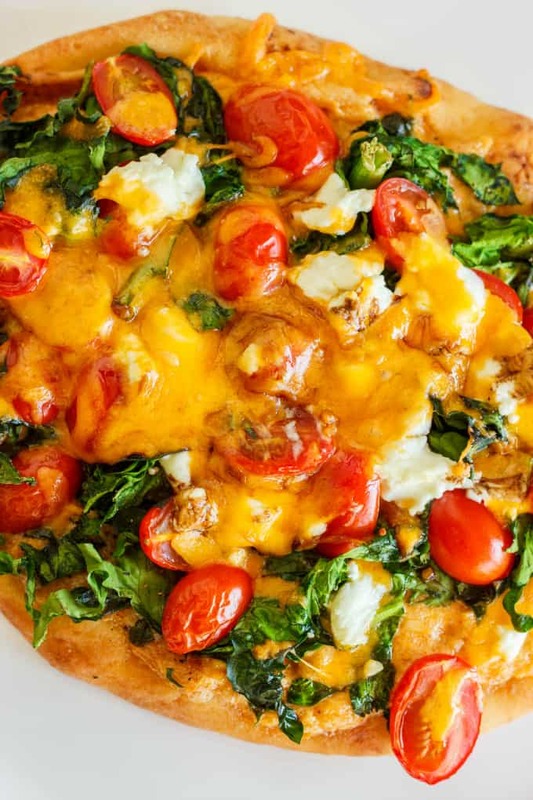 It was a great way to use leftovers, and what kid does not love pizza?! As I have grown older, I have seen other creative pizza ideas, and this one stuck out. 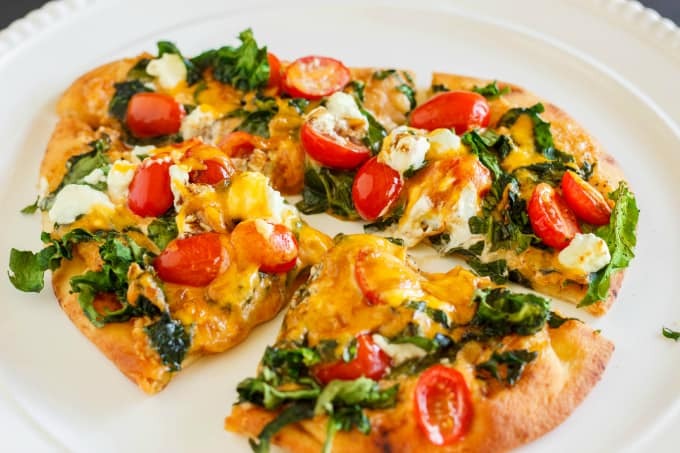 Using naan bread and your favourite dip, you can easily make homemade pizzas for the night, even without leftover spaghetti sauce. Choose any toppings you like, whether they be basic or extravagant. 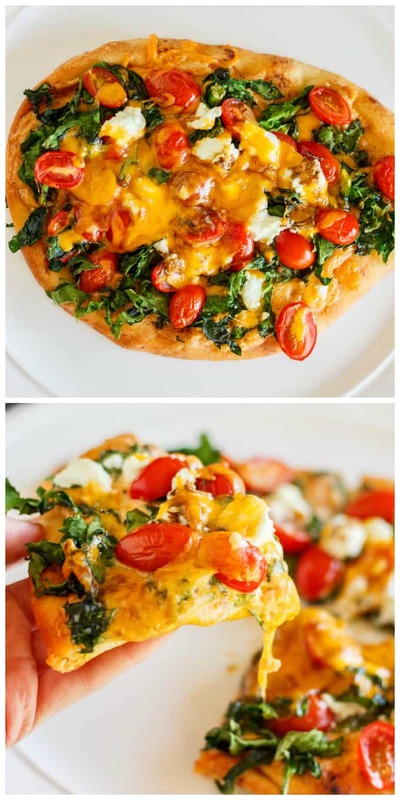 I really love the simplicity behind these naan bread pizzas, and the bold flavours! Of course, toppings are all up to you. You could make these gourmet by caramelizing onions and grating some Parmesan cheese on top. My next goal in the bread department is making homemade naan bread. Homemade bread and tortillas have been easy, so why not take the next step? Homemade English muffins would be fun to make, too!